Josh HillSprint 4G Rollout UpdatesFriday, April 5, 2019 - 3:06 AM PDT Now that VoLTE is actually rolling out on Sprint, it's a good time to dive into what exactly is VoLTE, and how is it different from Calling+ and VoWiFi (Wifi Calling). Background Terms E-UTRA or EUTRA: Stands for Evolved Universal Mobile Telecommunications System (UMTS) Terrestrial Radio Access. This is the technical name for the actual LTE airlink. QoS: Quality of Service. This is a way of tagging / flagging certain types of traffic to have priority above or below other traffic. When traffic has a QoS tag higher than other traffic, network equipment (the tower, routers, etc) will drop or ignore lower priority traffic to ensure that this traffic goes through instead. The equipment can also be configured to reserve a certain amount of bandwidth to only be used by traffic with a particular QoS tag. For example, if a router has 10 Mbps available, it can allocate 1 Mbps for a certain QoS tag. Normal traffic will only be able to use 9 Mbps, with 1 Mbps reserved for that QoS tag. The number of QoS priorities / tags varies between equipment vendors, but can be in excess of 256 priority levels. 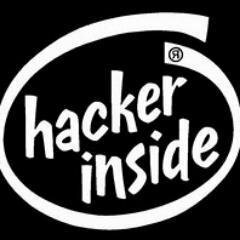 QCI: QoS Class Identifier. This is a value that an LTE / E-UTRA session can be assigned that corresponds to a particular QoS tag and specific attributes of that particular QoS queue. For example, it may or may not specify a guaranteed/dedicated bandwidth allocation (GBR). APN: The APN is the name of the gateway on a mobile network. It identifies the packet data network that should be used for that E-UTRA session. IMS: IP Multimedia Subsystem. It is a method for sending SMS over LTE, along with setting up VoLTE calls and other signaling. eCSFB: Circuit Switched Fall Back. For phones / UEs that can only listen on either LTE or CDMA rather than both simultaneously, it is a method for the LTE network to tell the device that a call is coming in, and to switch over to CDMA to process it. SRLTE: Single Radio LTE. This is a capability of newer devices that allows them to listen on both CDMA and LTE at the same time, but only transmit on one at a time. This replaces the need for eCSFB, allowing the device to see a call coming in over CDMA while it’s using LTE. It is also more reliable and reduces the number of missed calls due to failed fallback. When a call is active, the LTE session is stopped / paused. SIP: Session Initialization Protocol. This is the standard protocol for VoIP in telecom networks. How VoLTE Works While we typically think of LTE as a single connection, multiple E-UTRA “sessions” can actually be established, creating what are essentially virtual/multiple LTE interfaces, each with their own IP address, QoS level, APN, etc. Each session has a numerical QCI assigned that dictates the actual QoS priority and whether or not it has a GBR (Guaranteed Bitrate). QCI Resource Type QoS Priority Packet Delay Budget Packet Error Loss Rate Example Services 1 GBR 2 100ms 10−2 Conversational Voice 2 GBR 4 150ms 10−3 Conversational Video (Live Streaming) 3 GBR 3 50ms 10−3 Real Time Gaming, V2X messages 4 GBR 5 300ms 10−6 Non-Conversational Video (Buffered Streaming) 65 GBR 0.7 75ms 10−2 Mission Critical user plane Push To Talk voice (e.g., MCPTT) 66 GBR 2 100ms 10−2 Non-Mission-Critical user plane Push To Talk voice 75 GBR 2.5 50ms 10−2 V2X messages 5 non-GBR 1 100ms 10−6 IMS Signalling 6 non-GBR 6 300ms 10−6 Video (Buffered Streaming) TCP-Based (for example, www, email, chat, ftp, p2p and the like) 7 non-GBR 7 100ms 10−3 Voice, Video (Live Streaming), Interactive Gaming 8 non-GBR 8 300ms 10−6 Video (Buffered Streaming) TCP-Based (for example, www, email, chat, ftp, p2p and the like) 9 non-GBR 9 300ms 10−6 Video (Buffered Streaming) TCP-Based (for example, www, email, chat, ftp, p2p and the like). Typically used as default bearer 69 non-GBR 0.5 60ms 10−6 Mission Critical delay sensitive signalling (e.g., MC-PTT signalling) 70 non-GBR 5.5 200ms 10−6 Mission Critical Data (e.g. example services are the same as QCI 6/8/9) 79 non-GBR 6.5 50ms 10−2 V2X messages (source: https://en.wikipedia.org/wiki/QoS_Class_Identifier) As you can see in the above table, the QCI does not necessarily correspond to the QoS level. For example, QCI 1 has a QoS priority of 2, but QCI 5 has a QoS priority of 1, making it actually higher priority traffic. On Sprint, traditionally one E-UTRA session was used, with a QCI of 9 and QoS priority of 9. This is the lowest QoS priority, and does not have a guaranteed bitrate. On devices which use eCSFB or VoLTE, another E-UTRA session is established for the IMS APN using a QCI of 5 and QoS priority of 1, and is used for IMS. This session also does not have a guaranteed bitrate, but it has the highest QoS priority. IMS is used for SMS over LTE, along with setting up VoLTE calls. eCSFB devices use it for SMS, and likely also for triggering eCSFB. On newer device which instead use SRLTE, IMS is not used unless VoLTE is enabled, and they instead use CDMA 1x for SMS, so an IMS E-UTRA session is often not setup. When a VoLTE call is initiated, a third E-UTRA session is established, also using the IMS APN. This session has a QCI of 1 and QoS priority of 2. Unlike the other two sessions, this one does have a guaranteed bitrate. For Sprint, this bitrate is 39 Kbps. The screenshot below shows all 3 sessions: VoLTE E-UTRA sessions This is how VoLTE calls are prioritized over regular data. Normal data usage, such as loading a web page or watching a video, will still use the lower, default QoS (QCI of 9), while the data for the VoLTE call will be at the second highest priority (QCI 1), just after IMS signaling (QCI 5). The tower / eNB will ensure that the VoIP session always is able to use up to 39 Kbps by reserving that bandwidth and dedicating it to the call. This is in contrast to “Calling+”, which does not establish a separate E-UTRA session, and instead uses the normal QCI 9 session. The below screenshot shows an active Calling+ call. Note the presence of only a single E-UTRA session. Calling+ E-UTRA sessions So now that we have the airlink for VoLTE, what happens? VoLTE, Calling+, and VoWiFi are essentially standard SIP VoIP calls. The below screenshots show the SIP details for an active call, and the LTE Signaling messages that setup and then end the SIP call. VoLTE SIP details VoLTE Signaling For VoLTE, the traffic for the SIP call goes over the QCI 1 E-UTRA session instead of the normal QCI 9 session. This means that the eNB (tower) will reserve and guarantee 39 kbps for the call, but other traffic from the same device will not be prioritized and will use the normal session. So starting a VoLTE call will not make the rest of your traffic prioritized, it will apply only to the VoLTE call. So as a recap, when VoLTE is enabled, the UE / phone establishes multiple E-UTRA sessions. One is used for normal usage, one is used for texting and signaling, and one is used for the VoLTE call. Think of these like separate virtual ethernet cables. On the QoS prioritized and guaranteed bitrate VoLTE session, the UE establishes a SIP VoIP connection for a call. On Calling+ devices, the same SIP connection is used, however it runs over the default QCI 9 session instead, and therefore isn’t prioritized and doesn't have a guaranteed bandwidth. This is why Calling+ calls are more likely to cut out or not sound as good. VoLTE call Calling+ call VoWiFi (Wifi calling) operates almost the same way. Like VoLTE and Calling+, it also uses the same SIP connection for calls and presumably IMS for signaling, but instead of using an LTE E-UTRA session, the phone establishes an IKEv2 IPsec VPN connection to Sprint. This is an encrypted connection that allows data to be tunneled directly into Sprint’s network. The SIP and IMS traffic are then routed over this VPN to Sprint, but not other, normal traffic. From a QoS perspective, VoWiFi is identical to Calling+, in that neither are prioritized above other traffic. VoWiFi call Because VoLTE, Calling+, and VoWiFi all use the same SIP servers and connections, under normal conditions they sound the same and can technically hand off to one another. They can all take advantage of HD Voice codecs and should sound the same, since the call itself is identical across all three. The difference is how the data for that call makes it to Sprint. VoLTE is able to use a dedicated, guaranteed airlink to ensure that congestion on the network (LTE or WiFi) won’t adversely affect the call. One final performance benefit is that VoLTE is able to take advantage of something called RoHC (Robust Header Compression), seen in the above 3 screenshots. This compresses the IP, TCP, UDP, and RTP headers from 60 bytes to 1-3 bytes, resulting in up to 60% bandwidth savings. It’s only possible on a dedicated link, which is why VoLTE has it but Calling+ and VoWiFi do not. So not only does VoLTE have guaranteed, dedicated bandwidth, it will use potentially half as much, which matters a lot for maintaining the call in edge of cell scenarios. We Welcome Our New Magenta Overlords? I'm live at samsung event! Sprint is 5G partner for GS10 5G! Excited when you see your neighbor with a MB on their window ? Tim YuSprint 4G Rollout UpdatesFriday, June 8, 2018 - 3:00 PM PDT It has been a little over a year since the first Magic Box publicly available was announced. In the time since then since the Airunity 545 "GEN 1" was announced, minor revisions were done as "GEN 2" with the Airunity 544 sporting a LCD display and subsequently the Airunity 546 having an more aesthetically pleasing exterior. All LCD display models are known as "GEN 2" respectively. Come next week starting on June 11th, 2018, the GEN 2 Magic Box's (AU544/546) will be considered out of stock and a GEN 3 Magic Box will take over the reigns in the beginning of July 2018. Though information on this new unit is scarce, information attained by S4GRU does suggest the new revision may potentially contain user accessible USB Type A ports and have a slightly lower transmit power. More to come as S4GRU discovers additional information about this GEN 3 Magic Box. Tim YuSprint 4G Rollout UpdatesWednesday, September 12, 2018 - 12:45 PM PDT [Edit] It has come to the attention of S4GRU that the Magic Box also supports CDMA Voice Today, Sprint announced the newest Magic Box™ to the world. This Magic Box was first spotted in early summer and S4GRU did a quick write up on it here. Today's announcement formally revealed what new technologies this 3rd Generation public release will give to us. The highlights: This is some huge stuff here especially for technology nerds! Previous Magic Box's only utilized LTE UE Relay for backhaul up to 2 carrier aggregation at 2x2 MIMO at 64 QAM modulation. With 3 CA, 256 QAM, and 4x4 MIMO, this new Magic Box has the same capability as a Gigabit Class device on the Sprint™ network! In addition the notes about Wi-FI connection working for backhaul are huge. Sprint Band 25 or Band 41 may not reach indoors or even in some neighborhoods due to macro coverage patterns even though a Magic Box is available to use in a region. By having the option to use locally supplied internet via WiFi as backhaul, this allows Magic Boxes to enter locations where LTE UE Relay does not work. In addition, the ethernet port tidbit may also be a hint that using ethernet backhaul could also be an option. If so, this Magic Box would potentially support 3 choices of backhaul all in one unit; LTE UE Relay, WiFi, and Ethernet! Wow! With the coming arrival of VoLTE opt in in the near future, LTE coverage indoors is a huge concern. The now expanded reach of this new Magic Box into places previously unreachable is a huge step forward. Exciting! Sprint and Airspan sure loves Magic! Dave YeagerSprint 4G Rollout UpdatesTuesday, April 3, 2018 - 6:20 PM PDT Exciting times for those of us who track Sprint Macro sites and signals. Sprint has accomplished a lot during the last few years in many places. Even during a period of reduced capital expenditures. Progress has been made by increasing bandwidth and adding carriers to LTE 1900 MHz, adding LTE 2.5 GHz macro and small cell sites, adding 3x3 LTE 800 MHz to many existing sites near the border, and working to eliminate 3G Only Ground Mounted Radio sites by adding LTE in many places*. Some of these improvements have been offset by ever increasing data demands that have doubled every 18 months. For maximum gain, a new plan was needed...Next-Gen. Since late Fall 2017 Columbus S4GRU members have been tracking new permits in Ohio trying to figure out Sprint’s Next-Gen plans in detail. These permits soon made it obvious that multiple site configurations are involved. In late February / early March three Next-Gen sites were found in the Columbus Market. To ensure that these were not just isolated test sites, two identical Next-Gen sites were confirmed in the Cincinnati Market about a week ago. These are new antennas and are a different scenario than described in the prior S4GRU Wall Article on 16 port Triband Antennas. Note that these new antennas (center) are about the same size as the 1900/800 MHz dual band antennas, except thicker and cover 2.5 GHz / 800 MHz. There are 10 ports on the bottom, excluding the 4 AISG ports, for 8T8R 2.5 GHz and 2T2R 800 MHz (plus 2T2R 800 MHz from Network Vision antenna/RRH). The site diagrams from Connecticut list them as Commscope DT465B-2XR-V2, which matches our photos. These new antennas are combined with a 2.5 GHz 8T8R RRH and another 800MHz RRH (a few permits list just one 4 port 800 MHz RRH) and always been found with existing hexport dual band 800/1900 MHz equipment. ** Sprint’s desire to add 2.5 GHz to all sites is well publicized. But why two 800 MHz RRHs? To allow 4x4 MIMO for 800 MHz LTE. While only some tablets will fully benefit from 4x4 MIMO given the antenna size requirements, all devices will benefit from the significant signal propagation and stability improvements over 2xT/R diversity. At the cell edge this is especially true. This will be a major improvement for technologies such as VoLTE where weak signals can wreak havoc on voice quality and even usability. Four Sprint scenarios were noted in some of the Connecticut information. Besides the two scenarios covered in this and the prior wall article, there is a ground mounted radio scenario, which is dated February 28, 2018 -- well past the changeover to Next-Gen antennas seen in the late Fall 2017 permits. Only the Triband decaport (10 port Antenna) is visible in the tower with diplexers and RRHs near the ground providing only 2T2R for 800MHz, 2T4R for the 1900MHz and 4T4R for the 2.5GHz, as shown below: *** *** Below is the current status of our 2017+ permits for the Columbus market to give you an idea of where these antenna scenarios will be used more often. Note that while there is extensive permit information for the Columbus market, not all jurisdictions put permit information online plus accuracy and detail varies. There is at least one Sprint Next-Gen Scenario remaining. Keep watching your local sites, especially if you see improved Band 26 LTE 800 or new Band 41 LTE 2500 signal or GCIs. Report anything new to a S4GRU forum. Include pictures and screen shots. Others will guide you to help figure out what you have found. *For details for my market for 2017: http://s4gru.com/forums/topic/1904-network-visionlte-columbus-market/?page=219&tab=comments#comment-526696 Other spreadsheet markets in this region have similar stories to tell. ** Wiring Diagram source: http://www.ct.gov/csc/lib/csc/ems/east_windsor/southmainst/sprint/em-sprint-047-180126_filing_southmainst_eastwindsor.pdf page 61 of 66 *** Ground mounted Radio Scenario: http://www.ct.gov/csc/lib/csc/ems/stratford/hawleylane/sprint/em-sprint-138-180302_filing_hawleylane.pdf page 7 of 107 Many thanks to lilotimz and kineticman for their assistance with this article. Happy birthday to our fearless leader Mr. S4gru aka Robert! I recently went on an 8 day cruise from NYC to the Caribbean that stopped in Turks and Caicos, Puerto Rico, and the Dominican Republic. My first stop was Grand Turk and there I opted for the free roaming. My S9+ automatically connected to Flow's (Cable & Wireless) LTE network where I received speeds of around 120kbps on average with boosts of up to 150kbps. Something worth noting is that on speed tests, the server prefers to default to Sprint's Miami server as opposed to local servers. Speeds were more than adequate for any amount of web browsing and honestly felt much faster than in reality. It helps that using Chrome will save you data by not loading pictures on certain sites unless you click them. In Puerto Rico, I connected to Band 13 on the way into the port in San Juan but once I was in the city, my phone never left Band 41. While the phone was usable, speeds remained significantly lower than what I've come to expect from 3xCA in the mainland U.S. Data speeds peaked at around 25-30Mbos but on average were in the 5-10 Mbps range even on LTE+. Signal remained strong everywhere though. Finally in the Dominican Republic, I entered in Amber Cover which is in Puerto Plata. My phone latched onto a weak Band 2 LTE signal in the port from Altice (called Orange Dominicana in SignalCheck). I had trouble loading pages though. Once off of the ship and out in the open, I had a much stronger signal which allowed me to browse the internet without a hitch. Because it was the last day of my trip, while at the beach I decided to purchase the 24 hour high speed pass for $5. My speeds went from 120kbps to 65Mbps in less than 5 seconds. In some areas speeds were slower, particularly at the port where it struggled to break 2Mbps. Now, back on the boat my phone is flipping between weak Band 4 LTE and overloaded Band 5 HSPA+ from Claro (called Verizon Dominicana in SignalCheck Pro). Here is the difference in speed from before and after purchasing the high speed pass. You just got some acknowledgement from the man himself! Cool sh#t! Sprint has over 56 million customers, do we need to really go down this rabbit hole?! Is Sprint perfect? Nope, is any carrier perfect!? Nope. You should go with what works for you, if Sprint was somehow not meeting my needs, I would have moved on a long time ago. I'm not with them to save a buck, I'm still with them because the network meets my needs (and I consider myself a pretty heavy data user) and customer support has always taken care of any/all my issues. As a plus, I personally enjoy the community Robert and gang have created here, which has been extremely educational and enjoyable. Stay tuned to S4GRU on that one. Tim is working on an article. Dave YeagerSprint 4G Rollout UpdatesFriday, February 8, 2019 - 8:00 AM PST Sprint’s tribanding project has reached a new phase -- former Clear LTE 2500 only sites are getting new equipment as reported by nowerlater in Cincinnati, Joski1624 in Cleveland, and here in Columbus. Converting sites from LTE 2500 only to triband LTE 800 MHz, LTE 1900 MHz, and LTE 2500 will significantly improve network performance in the traditional metropolitan areas of markets where Clear sites reside. Adding LTE 1900, LTE 800, CDMA 1x1900, and 1x800 will mean stronger signal with improved building penetration that will allow surrounding sites to better serve their more immediate coverage areas. This added site density will be a key factor in performance improvements needed for high quality VoLTE (Voice over LTE) service. Upon completion, site density for the non-LTE 2500 bands will increase an astonishing 57% in Franklin County (Columbus) Ohio. There are currently 162 macro sites not counting factory and private office building sites. There are 93 stand-alone Clear sites. Hamilton County (Cincinnati) will show a 61% increase in site density for the non-LTE 2500 bands. Additional Clear sites lie outside these counties in both markets. The level of increase will vary from market to market. Market wide LTE 1900 performance will improve if this increased site density allows for fewer 1x1900 CDMA carriers per site. This would allow refarming of spectrum to increase the bandwidth for LTE 1900. Minimum LTE bandwidth allowed by many of Sprint’s Remote Radio Units has been increased in recent months according to the FCC. This will be market dependent. There will be a 50% or more LTE 2500 capacity improvement at most Clear sites. Mini Macro Clear sites broadcast only one or two carriers, while most metropolitan areas triband sites broadcast three carriers with up to five carriers at some sites. The tribanded Clear sites go from having Mini Macros to 8T8R remote radio units at most sites, but some sites may retain existing Mini Macros in some markets. With 8T8R, these tribanded Clear sites will also get improved performance and coverage. Samsung Clear equipment used in portions of the south and east often have three carriers thus will primarily gain benefits from the improved coverage of the 8T8Rs. Tribanding the Clear Mini Macro sites will also improve the LTE 2500 performance of surrounding triband sites. If your phone is on the third carrier and you currently drive into an area primarily served by a Clear site your triband site signal will get weaker and weaker until it drops. The LTE 2500 at these existing Triband sites currently carries an extra burden. Permit Foreshadowing Let’s dive further into the details. We have been watching for these site builds for many months. Permits were first seen in the early fall in Columbus, for example: ALTC1800834: ANTENNA UPGRADE TO AN EXISTING CELL SITE OF SPRINT. REMOVE (3) ANTENNAS, (3) MM RRUS, AND (3) 15/64" COAX. INSTALL (3) ANTENNAS, (9) RRHS, (3) 1-1/16" HYBRID CABLES, GC SUPPLIED RET CABLES, (3) OPTIC FIBER JUNCTION CYLINDERS, (3) POWER JUNCTION CYLINDERS, (1) SITEPRO SNP-12NP SECTOR MOUNT AND HANDRAIL KIT. REMOVE EXISTING CLEARWIRE GROUND CABINETS AND INSTALL ALL NEW SPRINT ECAB & ICAB COMBINATION CABINET AND PPC ON NEW CONCRETE PAD. REMOVE ALL POWER AND FIBER CABLING TO RRHS. Permits and drawings were also found in Sacramento by our resident staff Tim (lilotimz), with one site even going from CA to Massive MIMO: The Network Vision plus LTE 2500 using 8T8R LTE 2500, LTE 1900, and Four Port LTE 800,and the much rarer Massive MIMO LTE 2500/5G future, LTE 1900 and Four PORT LTE 800. A big question was whether the sites would have CDMA or just be VoLTE. Most Sprint phones in use today can only use CDMA. OceanDave picked up the first Clear Triband Conversion signal in his logs recorded on 11/30/2018. Joski1624 found and confirmed CDMA 1x1900 and 8T8R LTE 2500 at the site once the logs were analyzed in early January. Here is a screenshot from Joski1624 showing LTE 800 and 1x800 from the same Clear conversion site: Cleveland has confirmed other sites. Nowerlater has reported similar results covering bands 25 and 26 from other Clear sites converted to Triband in the Cincinnati Market Here is a photo of a Columbus Clear site being converted to Triband. You can see that the Clear Band 41(inside red outline) is still wired and was quite functional at the time of the photo. 1) Clear antenna (remove), 2) Mini Macro (remove for most sites), 3) Microwave antenna for redundant backhaul (will likely remain if present). This is becoming a Triband Hexadeacport 16 port Antenna Setup outlined in yellow with 1) 8T8R LTE 2500 Remote Radio Unit, 2) LTE 1900 Remote Radio Unit, 3) LTE 800 four port Remote Radio Unit, 4) 16-Port Triband Antenna. In this next photo you can see the old cabinet on its metal grate and the new cabinet on new concrete. The underground conduit needs to be placed then the concrete poured before you will see cabinets. Some of the sites will have double cabinets (permits say Eltek, but observed cabinets do not match catalog). Note that they are pre-assembled, in this case by Stonecrop Technologies. These sites are also getting new Purcell cable boxes. In Columbus, 86% of the Clear sites have permits. New permits are still being filed. We began finding permits for Clear conversions last October. Permits are active for one year. They can be extended, but typically the work will be done in that time period. It is quite possible the FCC will not approve the merger into T-Mobile until December or later based on the Shentel – nTelos merger. This merger could finish sooner or not at all. If the merger is approved this work would likely stop, but any completed site work would benefit existing Sprint customers during the estimated two to three year transition period (market dependent). If all Clear sites were converted to triband, here is an image of roughly where the sites would strongly benefit in the traditional Columbus metro area: Please note that actual site coverage areas are not circular but are shaped between a three bladed airplane propeller and a three leaf clover. There would be significant variations from the heat map above. Of course Columbus overall has Network Vision and other Next Generation triband sites. These Ohio markets mentioned have active S4GRU signal hunters, thus are likely a proxy for what is happening or will happen in other markets with active former Clear LTE 2500 only sites (for clarity we will now refer to them as Clear sites). Indeed lilotimz has found permits and drawing in Sacramento. Reddit user Marley3456 has confirmed triband Clear sites in Salt Lake City Utah, thus they very likely exist in other parts of the country. The following cities in state order all had more than 10 Clear sites with LTE in 2014 thus are likely prospects for this type of change: If your city is listed above, how will you know if you will benefit? Start looking looking at the Clear sites in your city today and be observant of any changes. Help is available here at S4GRU.com if needed. Online guides can help: Nokia Mini Macros on Macro Sites, Samsung LTE 2500 Remote Radio Units and Antennas. It will be worth knowing if your market will benefit from the significant capacity improvements of the Clear site Triband conversions! Edited 2/8/19 to better cover Samsung Clear Sites. Tim YuSprint 4G Rollout UpdatesWednesday, October 2, 2018 - 9:00 PM PDT Starting right now, October 3,2018 12:01 AM EST, Samsung Galaxy S8, 8+, and S8 Active users can manually download the firmware to remove Calling Plus from their devices and bring forth the VoLTE Opt-In toggle. Oh yeah. VoLTE is live on the Sprint Network™ as part of the VoLTE Soft Launch in the select markets. The roll out to the soft launch markets will be gradual over the next weeks. So have at it you folks in the first soft launch markets that are going live! Here are the first 15 initial soft launch markets with more following in the next few weeks. Atlanta﻿-Athens Chicago Dallas-Ft.Worth Houston Indianapolis Kansas Missouri New York City Oregon-West Washington Philadelphia Pittsburgh﻿ San Francisco Bay South Bay Southern Jersey Washington DC And if you're in a soft launch market... Source: /u/TheButlershrsmn Discuss Sprint VoLTE on on the forums. https://newsroom.sprint.com/sprint-5g-overview.htm Here's some new info on Sprint's 5G deployment plans: Availability Sprint plans to begin its mobile 5G rollout in the first half of 2019. Its first nine 5G markets include some of the largest cities in the country: Atlanta Chicago Dallas Houston Kansas City Los Angeles New York City Phoenix Washington, D.C. The company’s 5G technology rollout is underway with equipment deployed and currently being tested in multiple cities across the country. Sprint 5G will begin with contiguous footprints in the downtown areas of these first nine cities, allowing for its on-the-go customers to stay connected to 5G through the city center. For example, in LA, Sprint will offer mobile 5G service all the way from Dodgers Stadium to Santa Monica. Tim YuSprint 4G Rollout UpdatesSaturday, April 7, 2018 - 6:54 PM PDT A year ago Sprint and Open Mobile announced the beginnings of a joint venture whereby they would combine their network assets and operations together to create a better more competitive alternative on the island. In late 2017, the deal was consummated which gave Sprint access to Open Mobile's spectrum holdings in the PCS 1900 range and, more importantly, the 750 MHz Band 13 block. This LTE Band 13 is almost exclusively used by Verizon Wireless as the basis for their LTE network. In comparison to Sprints SMR 800 MHz holdings it is 20 MHz in width meaning that Sprint is able to utilize a 10x10 MHz lowband LTE carrier whereas Sprints Band 26 800 MHz is limited to 5x5, 3x3, or even non existence as in Puerto Rico due to spectrum hoarders and other issues pertaining to the IBEZ. With this spectrum, Sprint is now able and has begun the deployment of a triband 750 / 1900 / 2500 network in Puerto Rico! See the following screenshots from S4GRU PR / VI market thread users! Note: UARFCN 5230 is 751 / 782 MHz center frequency. LTE Band 13 runs 777 - 787 / 746 - 756 which means it's smack dab in the center perfect for a 10x10 MHz FDD LTE carrier. Thanks to imatute and smooth25 for the finds! With some patience I found and documented a Band 41 - 5 Carrier site at 1903 S Perdieu Rd, Muncie, IN. I know some other 5 carrier sites have been found, but this is the first one to my knowledge that has been well documented with the SignalCheck Pro Google Play app: _id first_time last_time gci pci tac dl_chan rsrp latitude longitude Signal Type V20 4/30/18 13:01 4/30/18 13:22 0934D300 66 18695 40978 -80 40.180995 -85.438152 B41 Sprint G2-4 4/30/18 13:09 4/30/18 13:19 0934D300 66 18695 0 -95 40.180433 -85.434040 B41 Sprint G2-2 4/30/18 12:59 4/30/18 13:25 0934D300 66 18695 40978 -93 40.180490 -85.433966 B41 Sprint G2-2 4/30/18 12:54 4/30/18 12:58 0934D301 112 18695 40978 -83 40.174408 -85.433624 B41 Sprint V20 4/30/18 13:22 4/30/18 13:23 0934D302 287 18695 40978 -96 40.181127 -85.451040 B41 Sprint G2-2 4/30/18 13:21 4/30/18 13:22 0934D302 287 18695 40978 -98 40.181117 -85.451814 B41 Sprint V20 4/30/18 13:19 4/30/18 13:20 0934D303 66 18695 41176 -87 40.180478 -85.433987 B41#2 Spr G2-2 4/30/18 13:01 4/30/18 13:20 0934D303 66 18695 41176 -98 40.180435 -85.434059 B41#2 Spr V20 4/30/18 12:55 4/30/18 12:58 0934D304 112 18695 41176 -79 40.174245 -85.433698 B41#2 Spr V20 4/30/18 12:56 4/30/18 12:57 0934D305 287 18695 41176 -77 40.171664 -85.433627 B41#2 Spr V20 4/30/18 12:59 4/30/18 13:16 0934D306 66 18695 41374 -87 40.178872 -85.433790 B41#3 Spr G2-2 4/30/18 13:14 4/30/18 13:23 0934D306 66 18695 41374 -97 40.180435 -85.434059 B41#3 Spr V20 4/30/18 12:58 4/30/18 12:59 0934D307 112 18695 41374 -83 40.176637 -85.433700 B41#3 Spr G2-2 4/30/18 12:58 4/30/18 12:59 0934D307 112 18695 41374 -89 40.177987 -85.433769 B41#3 Spr V20 4/30/18 12:59 4/30/18 12:59 0934D308 287 18695 41374 -94 40.178209 -85.433766 B41#3 Spr V20 4/30/18 13:16 4/30/18 13:18 0934D309 66 18695 40521 -90 40.180478 -85.433987 B41#4 Spr G2-4 4/30/18 13:09 4/30/18 13:09 0934D309 66 18695 0 -96 40.179976 -85.431370 B41#4 Spr G2-2 4/30/18 12:59 4/30/18 13:21 0934D309 66 18695 40521 -87 40.180958 -85.436124 B41#4 Spr V20 4/30/18 12:58 4/30/18 12:58 0934D30A 112 18695 40521 -86 40.176637 -85.433700 B41#4 Spr V20 4/30/18 13:03 4/30/18 13:21 0934D30C 66 18695 40719 -89 40.180478 -85.433987 B41#5 Spr G2-2 4/30/18 13:00 4/30/18 13:21 0934D30C 66 18695 40719 -88 40.180847 -85.433804 B41#5 Spr G2-2 4/30/18 12:58 4/30/18 12:58 0934D30D 112 18695 40719 -83 40.176695 -85.433667 B41#5 Spr The sixth carrier is used by Magic Boxes: _id first_time last_time gci pci tac dl_chan rsrp latitude longitude Signal Type G2-2 4/30/18 13:52 4/30/18 13:54 0FA1333A 491 53540 39874 -104 40.215065 -85.422384 MagicBox This would leave the mid B41 available for 5G. Delaware County Indiana has a wealth of Spectrum. Sprint controls the entire B41 band: https://docs.google.com/spreadsheets/d/1BDo7S2IGuvrU-0tjd9ZPdys3TV3qzGgGISvFX7em2do/edit?usp=sharing/edit?usp=sharing This county also has two B25 LTE 1900 10x10 carriers: (Just showing same site for clarity, but seen at every site) _id first_time last_time gci pci tac dl_chan rsrp latitude longitude Signal Type G2-3 12/31/69 19:00 4/30/18 13:22 09208300 144 18695 8140 -71 40.179302 -85.433792 B25-10x10 V20 4/30/18 12:54 09208301 4 18695 8140 -100 40.167485 -85.403290 B25-10x10 G2-3 12/31/69 19:00 4/30/18 12:58 09208301 4 18695 8140 -74 40.172063 -85.433631 B25-10x10 V20 4/30/18 13:23 09208302 86 18695 8140 -106 40.181219 -85.459734 B25-10x10 G2-3 12/31/69 19:00 4/30/18 13:23 09208302 86 18695 8140 -95 40.181169 -85.448522 B25-10x10 G2-3 4/30/18 12:59 4/30/18 13:04 09208306 144 18695 8640 -82 40.180507 -85.434013 B25#2-10 V20 4/30/18 12:53 4/30/18 12:55 09208307 4 18695 8640 -92 40.167494 -85.403424 B25#2-10 G2-3 4/30/18 12:53 4/30/18 12:59 09208307 4 18695 8640 -68 40.177389 -85.433728 B25#2-10 G2-3 4/30/18 13:22 4/30/18 13:23 09208308 86 18695 8640 -102 40.181238 -85.455842 B25#2-10 The second tab on the above sheet shows the B25 Spectrum. Here are some photos of the B41 Five Carrier Site: A standard B25/B26 NV site with B41 8T8R and typical antenna on the top rack (it could be yours if your market has the spectrum). Record speeds for my older LG V20, a S9/S9+ user should check it out. I'll add my MagicBox experience, recieved my MagicBox today and followed the simple directions and setup. Now my Sprint service was never bad or terrible but more on the side of fair to good seeing 800/1900 LTE indoors and 2500 LTE on the south side of my house if I was outside with speeds ranging from 5Mbps to 20Mbps depending on the time of day. So after finding a place to put this box of awesomeness where my OCD self thought it looked ideal and in optimal conditions plugged it in where it would finally rest, after all the configuration it decided on B41 (Band 41 High 2628000) instead of B25. My initial thoughts on the MagicBox is the range! Coming home my phone jumped on the MB over a block away! What I am kind of meh on is the speed seeing 10 to 20Mbps but the user count is 7 according to the MB so 5 other neighbors around me are hitting the MB as well. As far as topography my house sits the highest in our hilly neighborhood and I know 2.5 was non existent on the north facing side of the house which the MB filled quite nicely, add 7 other happy Sprint customers. Note: When I left after setting up the MB the CINR was around 2.3 dB upon checking the screen 6 hours later it has climbed up to 7.2 dB. So it seems this little box is still optimizing itself. Update: CINR is now up to 8.6 dB. That's Incorrect. T-mobile did a full rip and replace when they added Nokia to more than half of their regions to replace a hodgepodge of legacy nortel, lucent, and eventually Huawei (through MetroPCS) equipment. Though they had newer equipment in most places capable of supporting HSPA and DC-HSPA, significant ground and radome level modifications were done to bring it up to speed to support LTE service. In many cases it means ripping out the entirety of whats already in the existing base stations. The nature of them also having more recent equipment capable of HSPA means that the move from that to LTE went fairly smoothly as backward compatibility was easy to handle. Legacy Sprint and new modern eNB? Well.... ask those that lived in Motorola regions or those that were in Samsung regions where modern eNBs could not communicate over CSFB to legacy nortel and lucent equipment... Edit: addedum. Sprint was also deploying CDMA 1x800. Legacy equipment cannot be sourced for that as Lucent, Nortel, and Motorola no longer existed and those equipment were long depreciated / EOL'd.